All your time and effort spent on managing and editing your website is in vain if you are not on top of your Search Engine Optimization. Fortunately, you can address the most critical violations by taking some basic steps. Below are three examples of common SEO killers. 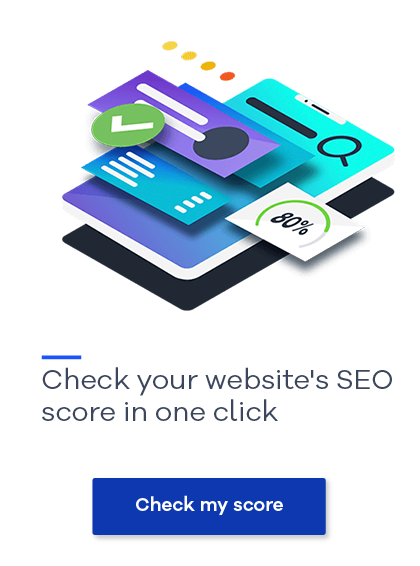 To tackle these and several others head on, download our comprehensive guide "17 Killers of Your SEO Efforts - and How to Fix Them". When a page has no page title it makes it difficult for search engines to determine what the page is about. Create a page title for each page, so that every page has a unique title. A good page title provides an accurate description of the page’s content, includes important keywords that relate to the content of the page, is usually around 55 characters and is written with both users and search engines in mind. If two or more pages share the same meta description, they are competing for a potential visitor's attention and might be weakening your SEO. Create a meta description for each page, so that every page has a unique meta description that accurately describes the content of the page. A good meta description includes important keywords that relate to the content of the page, is optimally around 115 characters and provides a compelling description of the page for the users. Not including important keywords in the alt text of a relevant image hurts both the optimization in image searches and regular SEO. Make sure that relevant images or graphics have an alt text that describes the content or function of the image using the keyword. Only do this if it will actually help search engines and users with screen readers by providing an accurate description of the image. If the page has no relevant image or graphic you could consider adding one. 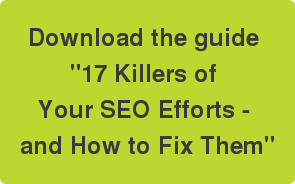 Get the guide: 17 Killers of Your SEO Efforts - and How to Fix Them.